Whatever the word "premium" means at McDonald's, that's what this tastes like. I was surprised. It was okay. The bun, which is supposed to be "bakery style," was a little hard, but the lettuce and tomato were in good shape, the bacon actually tasted like bacon, and the chicken was consistently crispy and appeared to actually be all white meat just like the clown says. The cheese. allegedly Swiss, is weird and shiny and has no taste, and the chicken's golden coating could use some more flavor. 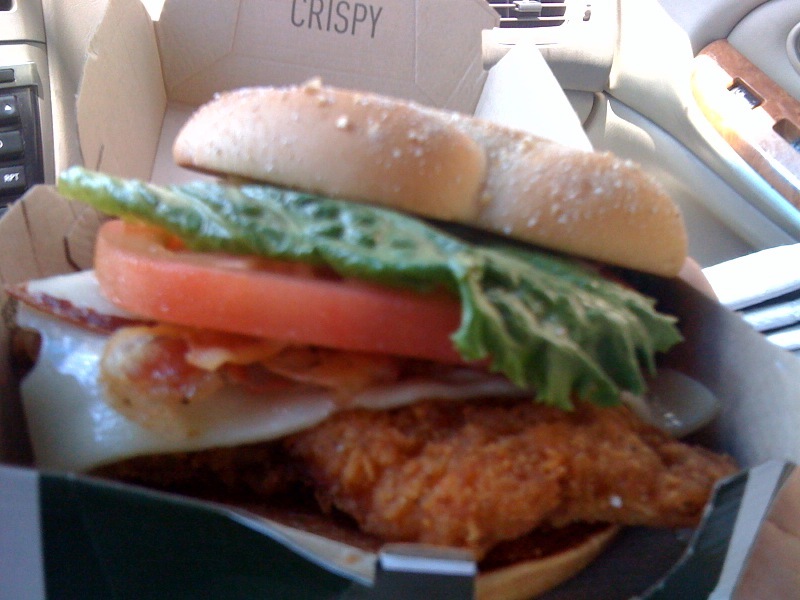 But all in all, this was a decent sandwich for McDonald's, and I didn't feel like I was going to die after eating it.